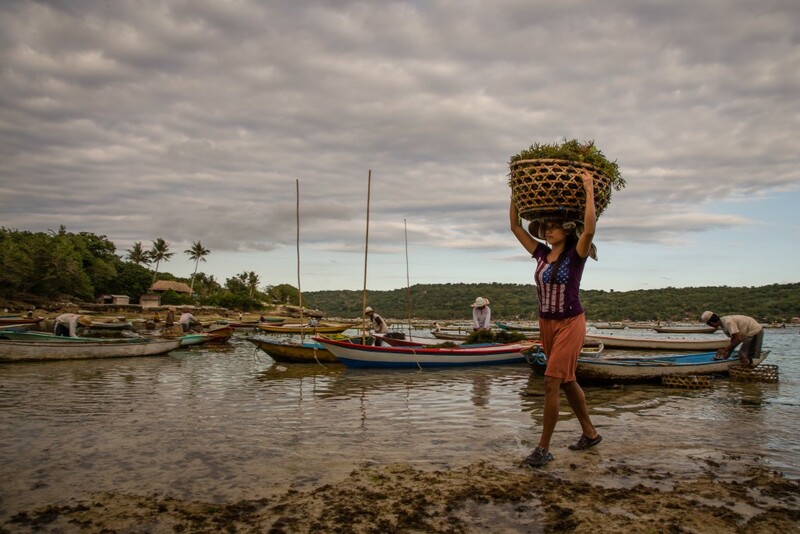 Indonesia seaweed suppliers sourced their products from both wild caught or seaweed farms. Indonesia is one of the largest seaweed producers in the whole world thanks to the abundance tropical waters and the long coastal area. Many small seaweed farmers in many islands at Indonesia cultivate and harvest the seaweeds as raw materials and then distribute it to various manufacturers and distributors so they can process the raw seaweeds into many seaweed products including for human and pet food industry, cosmetic industry, pharmaceutical industry, science industry, and many more. Seaweeds are demanded by International markets so the raw materials are mostly shipped to various countries globally as well. Indonesia seaweed suppliers only deliver best and high quality of seaweed products either in the form of raw material to processed later or processed seaweed ready to be used or consumed. As a big seaweed producer, Indonesia sourced their seaweeds mostly from seaweed farms because wild caught seaweeds in the ocean or coastal area cannot meet International highly market demand anymore. Furthermore, seaweed farms provide huge income not only for the country but also for the small farmers all around Indonesia islands. Seaweed is an important aquamarine product along with fish and thus supplying and exporting seaweeds to various countries has provides significant economy income for Indonesia and farmers. And each year they can produce tons of seaweeds to be delivered in top importers like America, Australia, Europe, and other Asian countries. Indonesia seaweed suppliers produce several different types of seaweed such as: Graciliaria, Eucheuma Spinosum, and Eucheuma Cottonii. 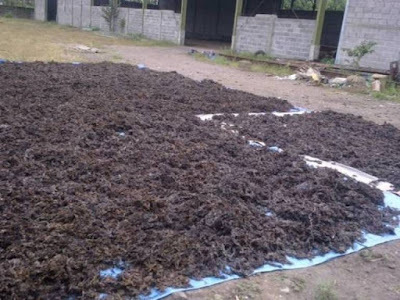 Usually the suppliers ship the seaweeds in the raw form so they can be processed later by other countries manufacturers as part of many industries including human foods. Seaweeds have been used as food source or ingredients or they can also being consumed alone. 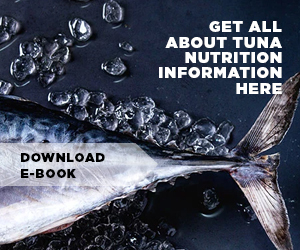 Nori seaweeds are probably the most famous seaweed food product in the world because you can find it easily in many major supermarket including Asian grocery stores. There are different cultivation of Graciliaria, Eucheuma Spinosum, and Eucheuma Cottonii. Indonesia seaweed suppliers and manufacturers like to use several methods which depend on the cost of the material being used, tradition of use, and the climate. For example, Graciliaria can be farmed by using methods like ropes, lines, nets, or also in tanks and ponds. 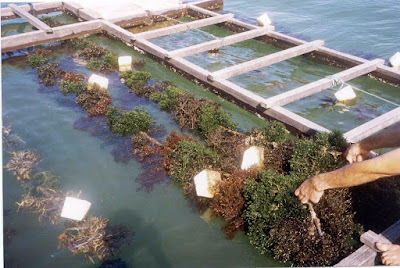 In addition, the seaweeds can be farmed in the bottom of bays as well. 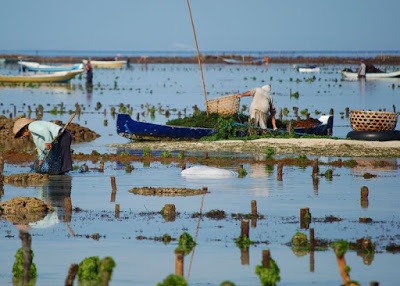 Meanwhile, seaweed manufacturers also like to cultivate Graciliaria in the ponds along with the shrimp and other fish, in fact such method is quite successful despite the seaweeds being mixed with other marine animals. 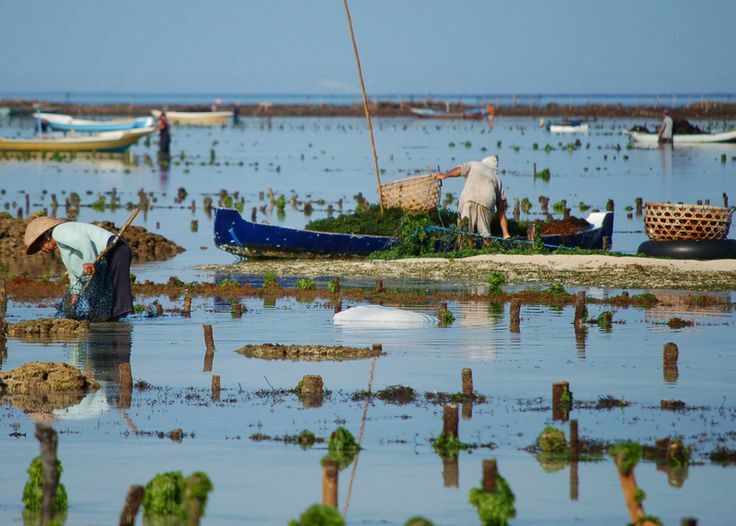 As for the rest of the seaweed types like Eucheuma Spinosum, and Eucheuma Cottonii, there are three different methods being used: long line method, off bottom method, and floating raft method. In Indonesia, the long line method is basically widely used by the farmers because it does not need high cost and it is also easier method to be implemented than the two other methods. There are two different methods which usually being used to reproduce the seaweeds. 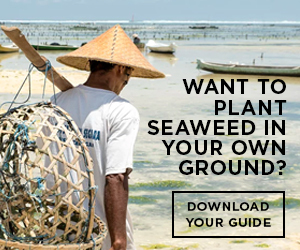 The first method is by letting the seaweed grown to an appropriate size before being harvested by the farmers and after that, they are cut into smaller pieces. And these small pieces will be used for the next cultivation process and this type of method is the most common method used by Indonesian farmers. The other method is by generative process using red algae life cycle to reproduces themselves and it takes shorter time to reproduce the seaweeds than using the first method. 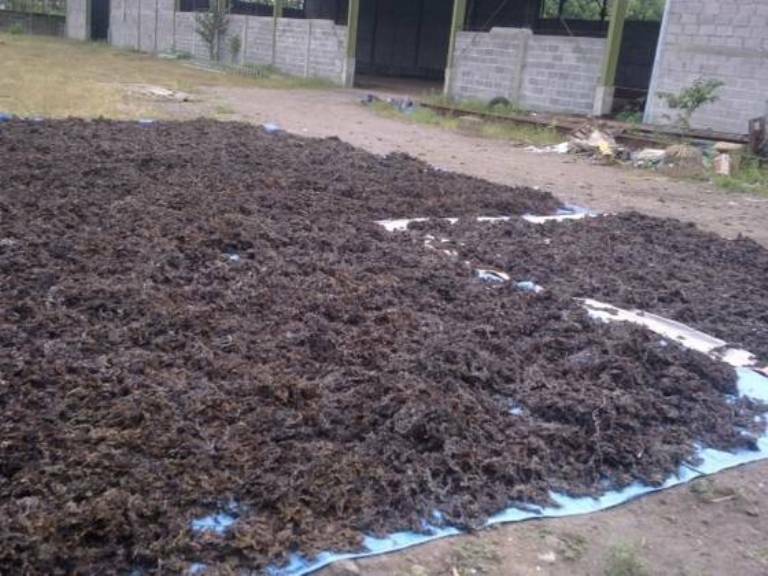 The farmers then will deliver and ship the seaweeds right to the Indonesia seaweed suppliers who in the end help to ship the raw materials or processed seaweeds to various countries. That’s why, it is so easy to find seaweed suppliers from Indonesia and you can get high quality of seaweeds in reasonable prices. To find a good Indonesian supplier you can start to search it by contact the suppliers directly and ask for the prices, delivery cost and terms, the types of seaweeds which they sold, and the amount of stock they have. Hope this information gives you some helpful explanation regarding seaweed in Indonesia and its suppliers.